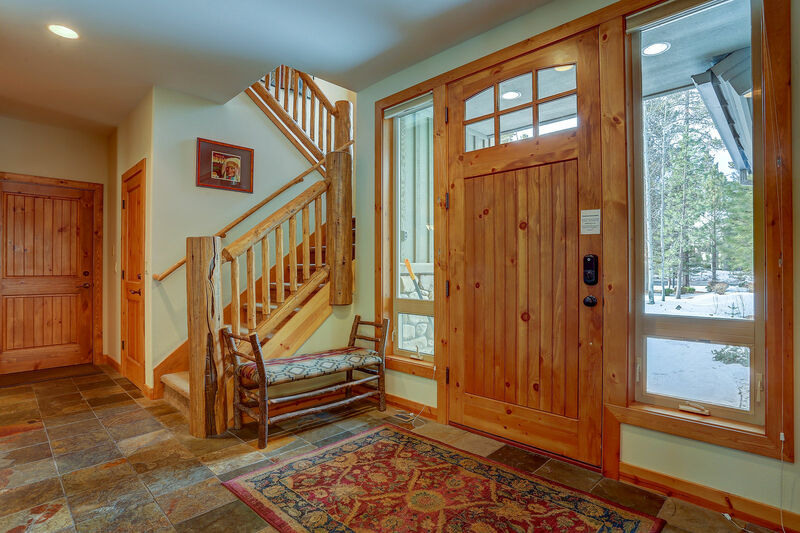 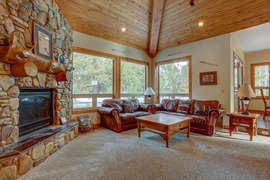 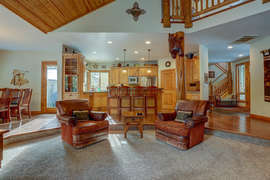 11 Vine Maple Lane - North Course Lodge - is located on the 11th Fairway of the Woodlands Golf Course. 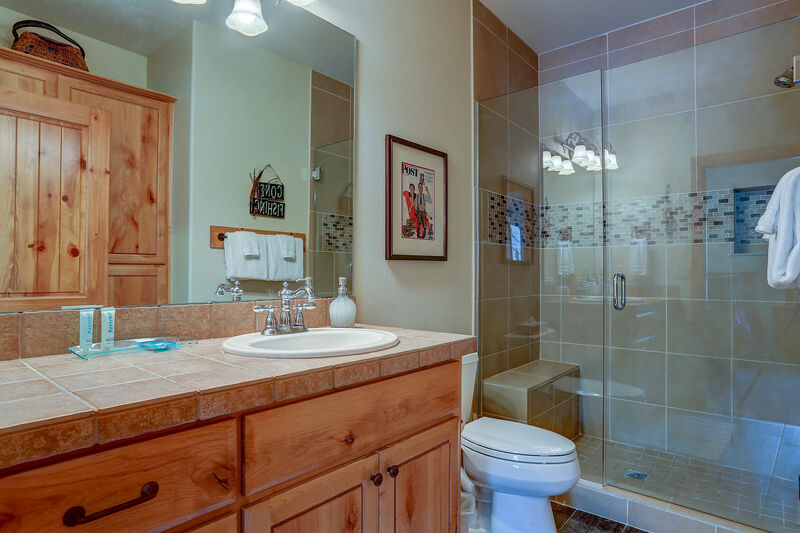 This beautiful home has a fully stocked kitchen, with 6-burner professional range and double wall ovens. 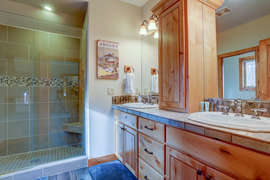 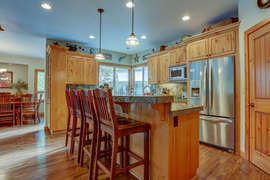 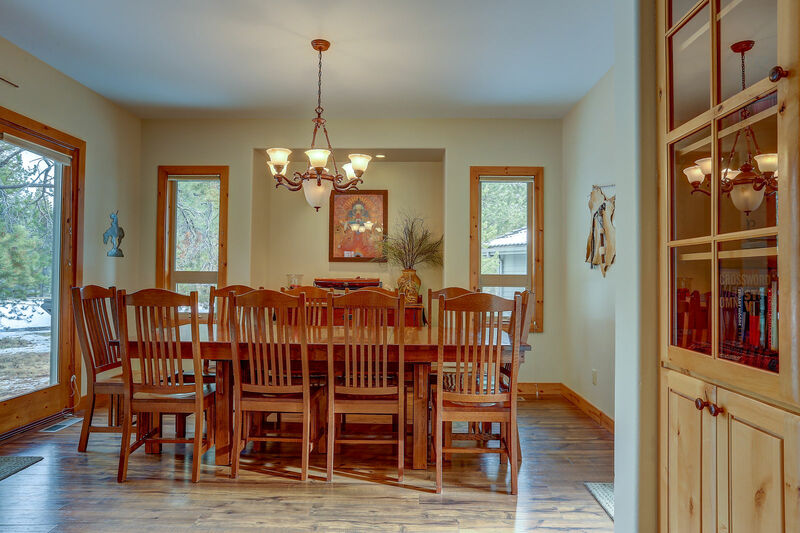 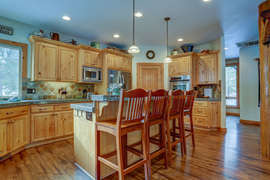 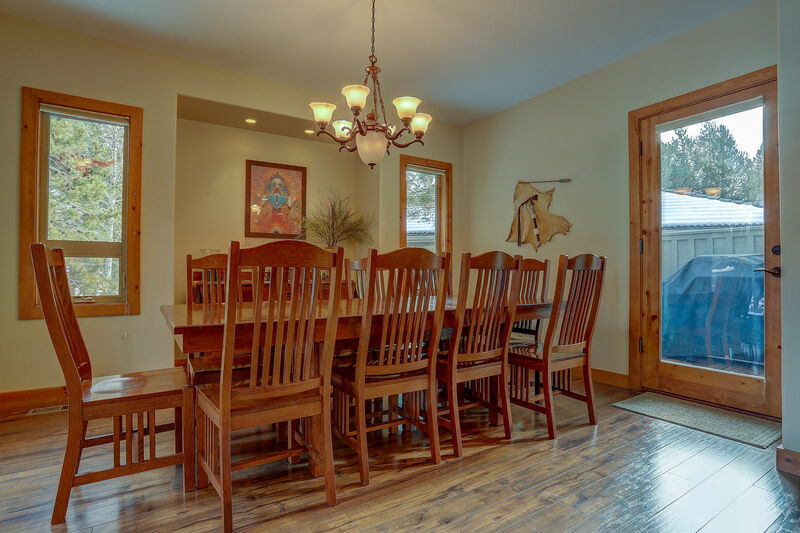 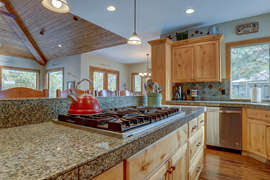 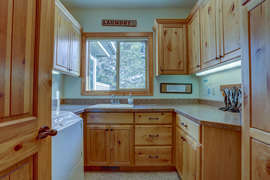 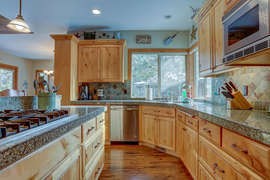 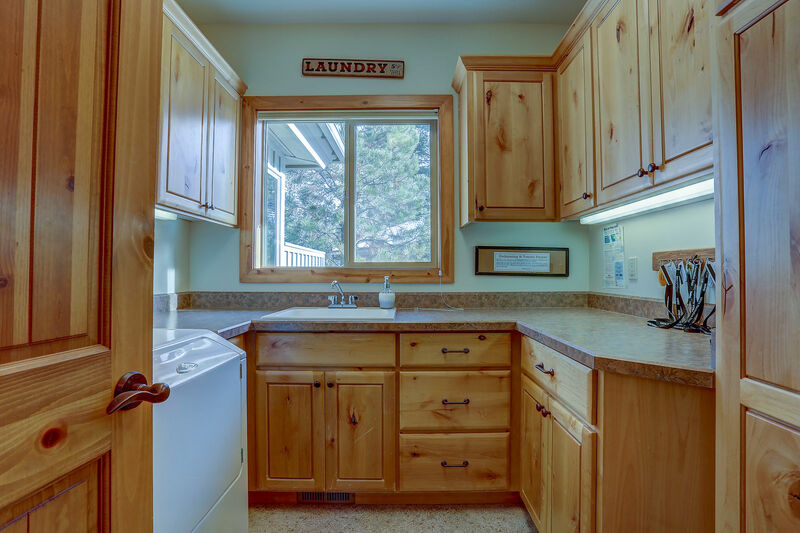 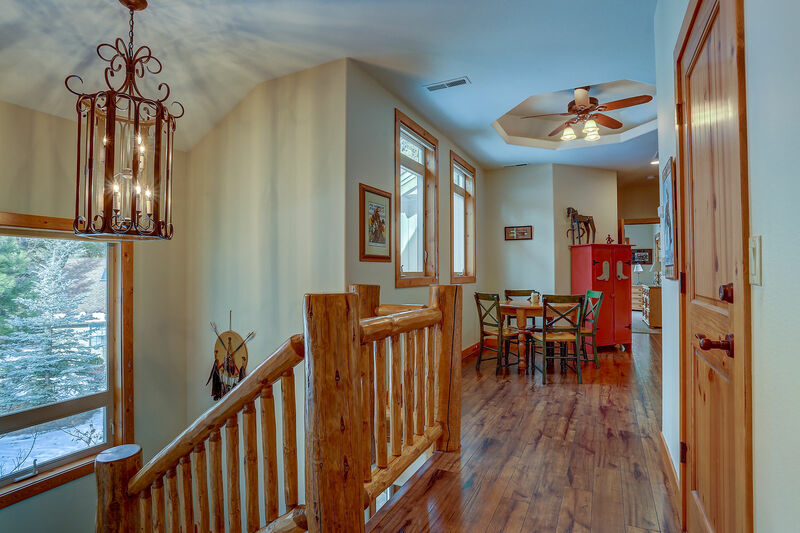 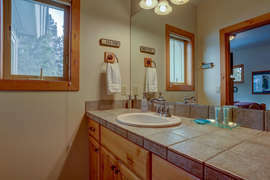 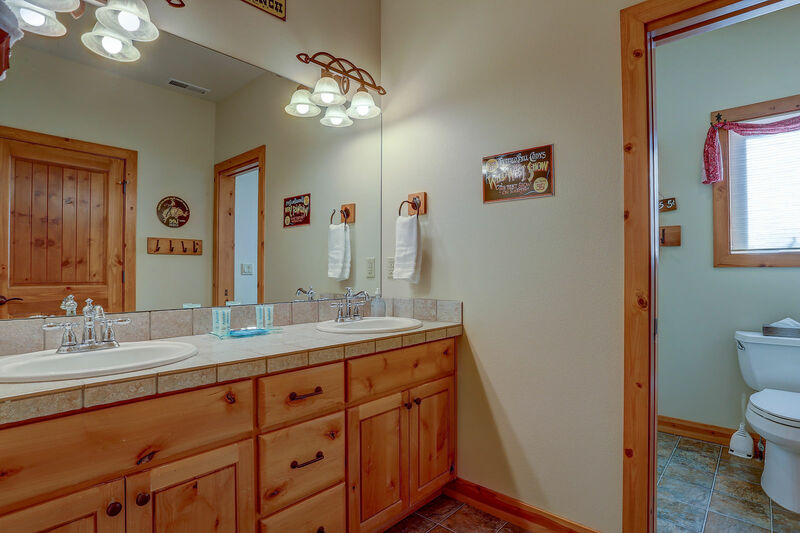 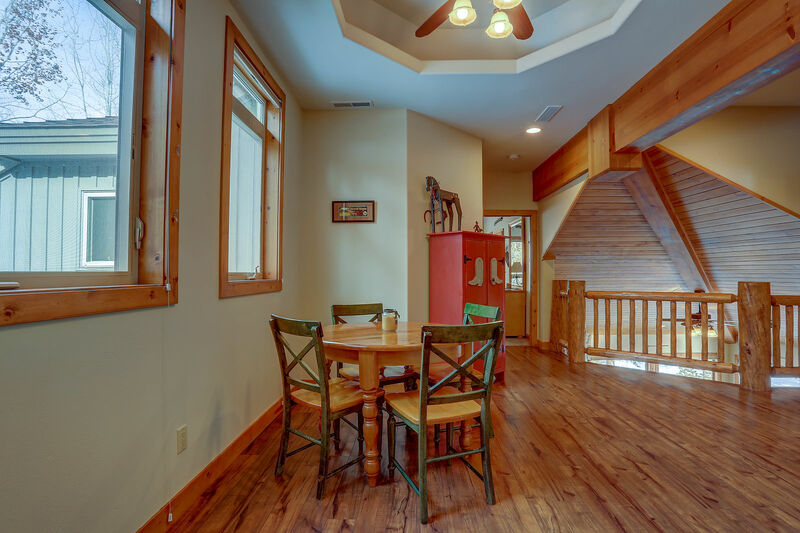 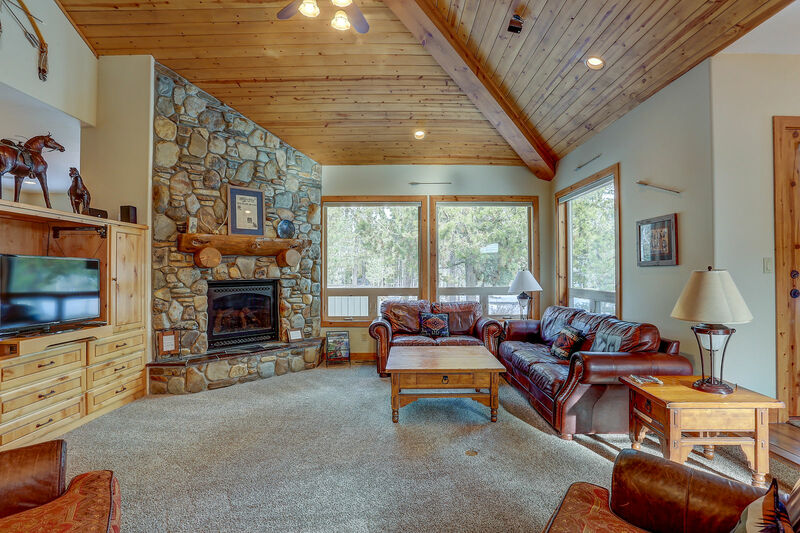 Granite counters and stainless steel appliances give a modern feel to this newer lodge home. 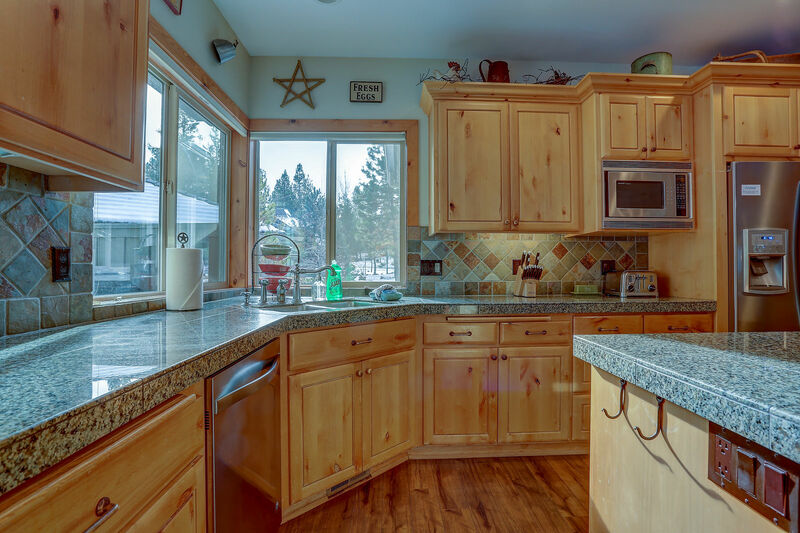 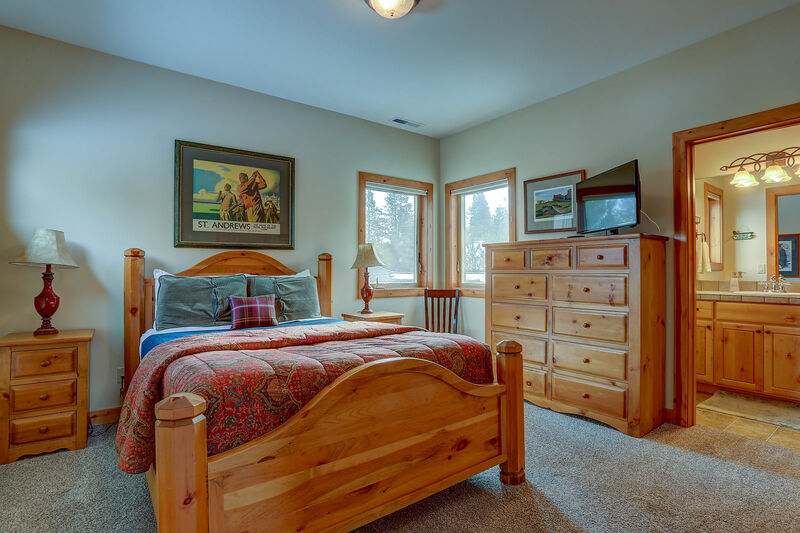 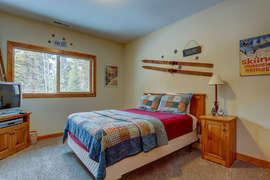 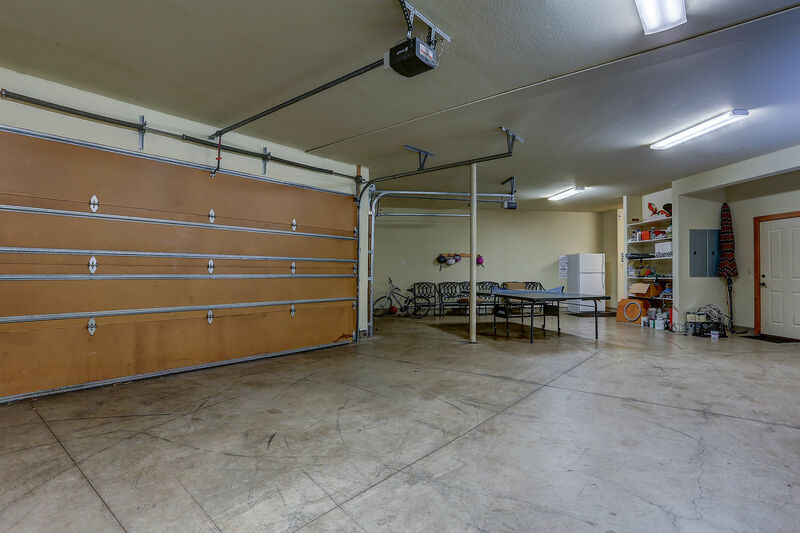 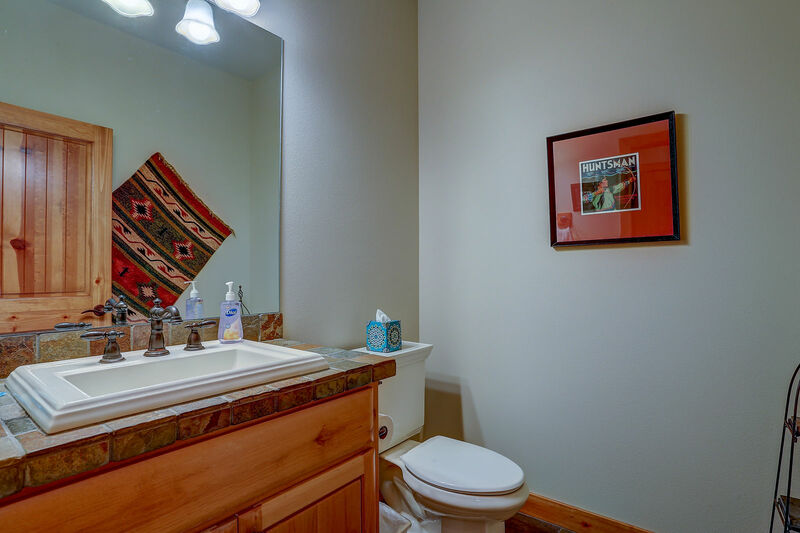 11 Vine Maple is located on the 11th fairway of the Woodlands Golf Course, with close proximity to Fort Rock Park, and Sunriver bike paths. 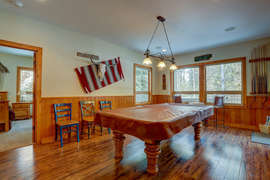 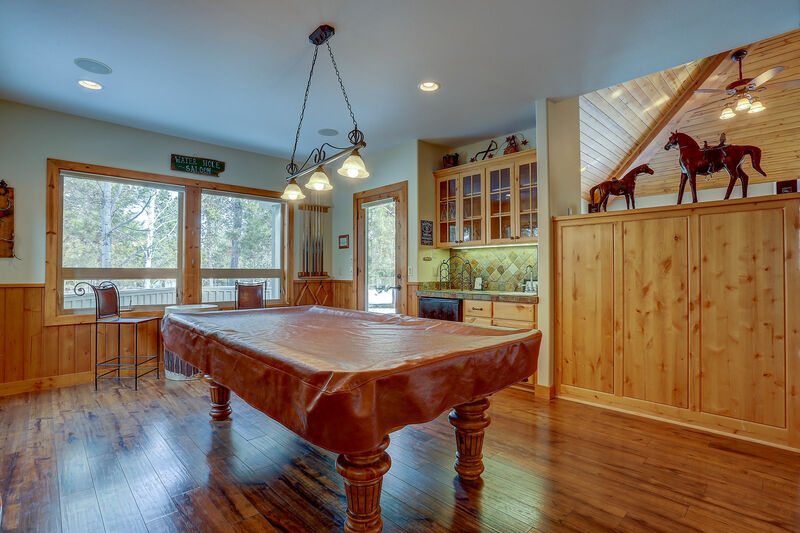 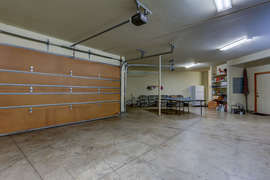 There is a billiards room with wet bar and golf course views. 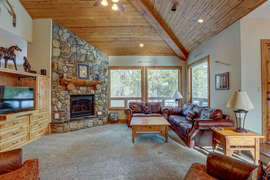 The sunken living room, with soaring rock fireplace, is open to the dining area and kitchen allowing for large group gatherings, all with golf course and patio views. 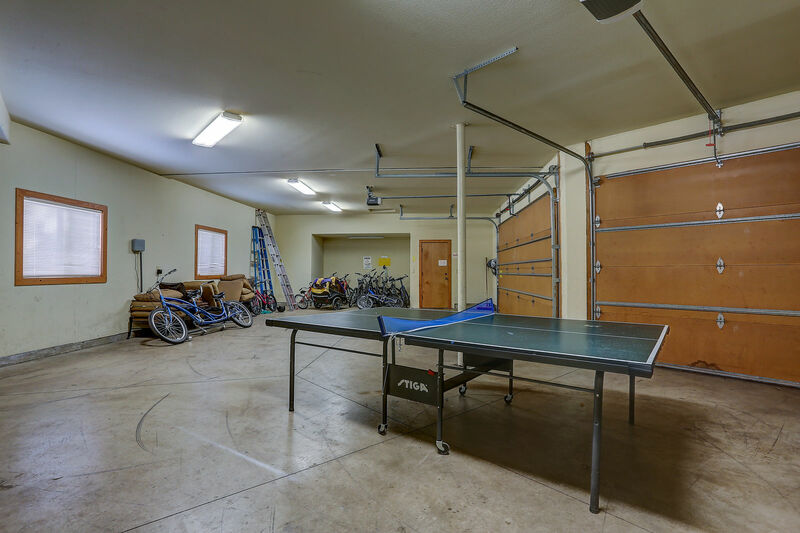 For your enjoyment there are 10 Adult bikes, 2 Children's, 1 tag along child bike and a 2 child trailer. 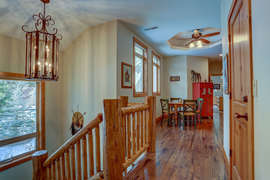 The home is 2-story. 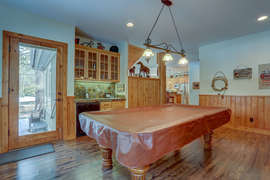 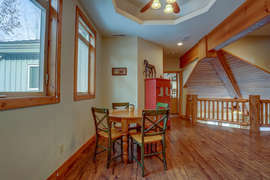 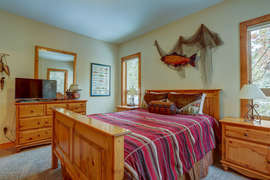 The kitchen, dining area, living room, billiard room, and one of the master suites, are all located on the main level. 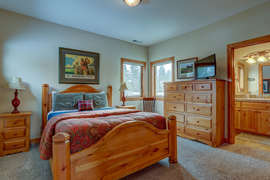 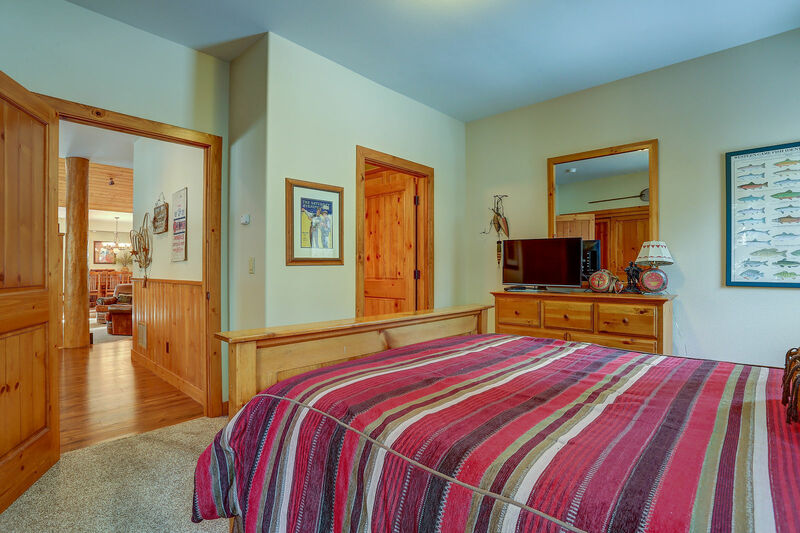 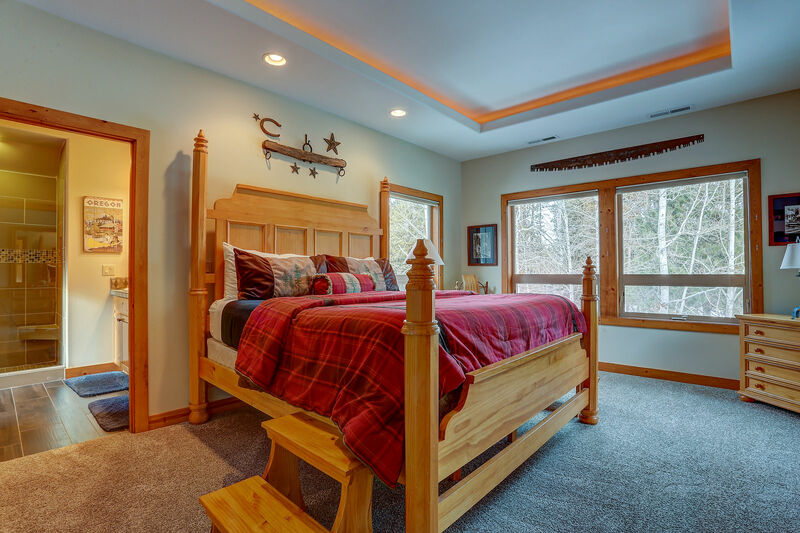 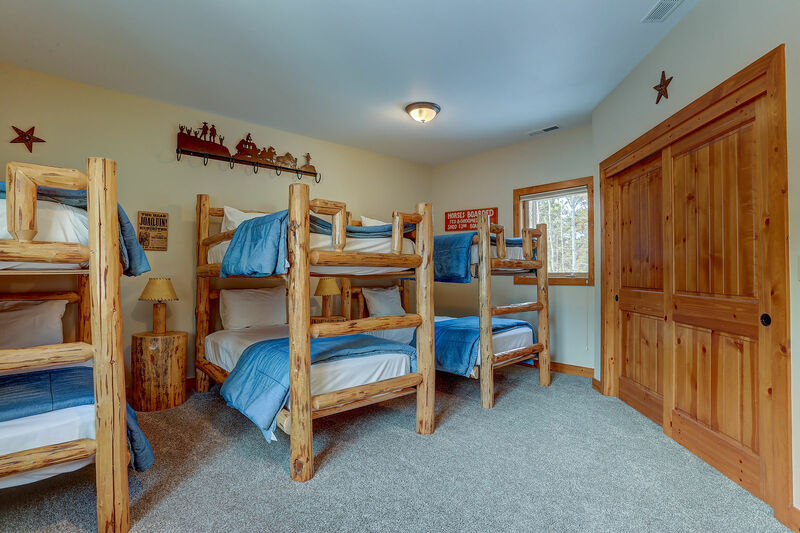 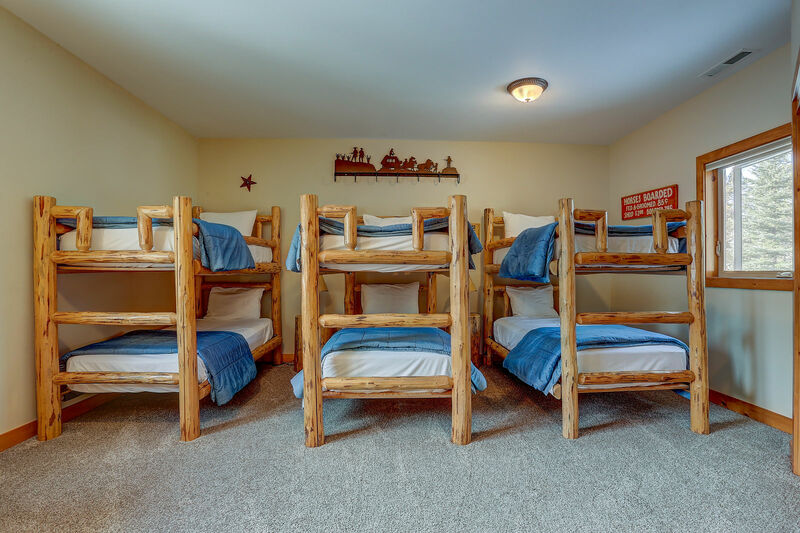 Upstairs are 2 more master suites, a queen bedroom and a bunk room with 3 sets of bunks (6 twins total).